Ever moving forward – and I am excited about how the color is adding so much more of a mood to the story. It is giving it such a more cinematic feel to it. So what’s going on with this adventure…. Well I did some major changes to my Patreon campaign. It’s now only a monthly donation instead of a update donation. This way if you only wanted to donate a $1 a month to help color the bean… that is fine, I will still update as many times as can and your donation will still only be a $1. I found this to be a much easier approach than what I had set up before. I also changed the rewards around as well… huge plus. Also the first two chapters are color completed. This will be book one. I will be running a kickstarter to print the book this fall. I am really happy on how the color came out – and how it changed the whole book. It’s already opening a few doors. Thank you once again for everything you guys have done to make this story come to life. There is no way I could not have done it without you. Keep creating and keep dreaming. 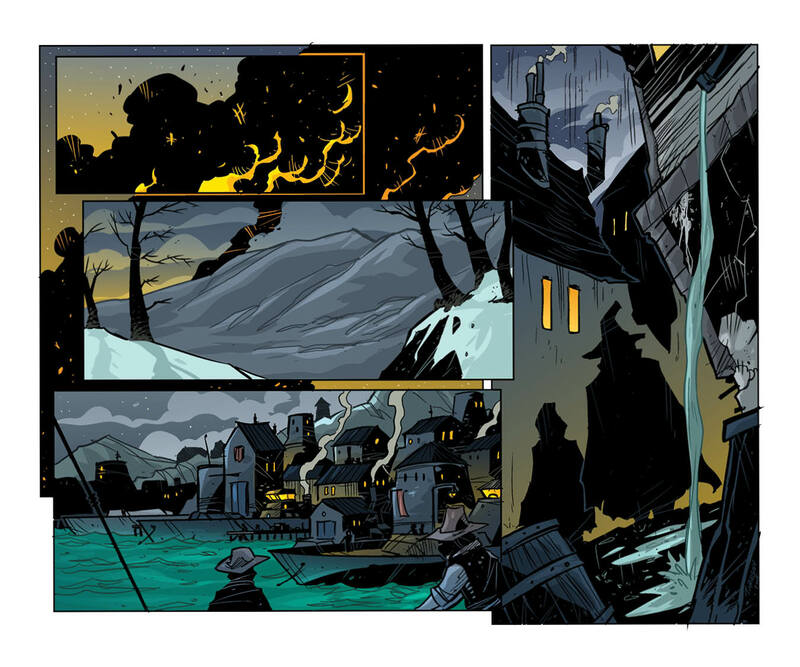 I realized recently how much snow we have seen so far in Bean, and now with added color, the snow pages are really coming to life. I still adore the black & white pages, but it's really fun seeing the firelight, moonlight, sunlight, etc, reflected off the snow and "warming up" each frozen scene. Wow. This page is beautiful!